Kicking myself today - qualified 2nd equal in time trial (yes I know that's not what counts, it's the racing) but as my coach says: today I was "Boardercrossed" in quarter finals, so super disappointed today. 13th over all. Boardercross racing has the element of surprise, as you don't know what's going to happen next sometimes things are out of your control, as we have seen recently at Olympics. Thats why its called Board er cross! Learning heaps - all good. My time on a podium soon.! 11th overall in Nor Am rankings for 2014 so far. 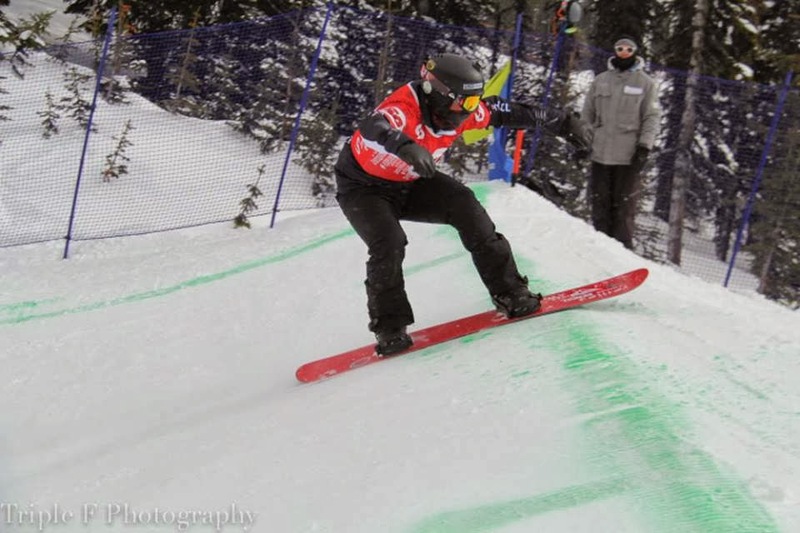 Photo courtesy of BC Snowboarding.